The past few months have been rainy and wet. This has offered perfect conditions for termites in Forest Lake. 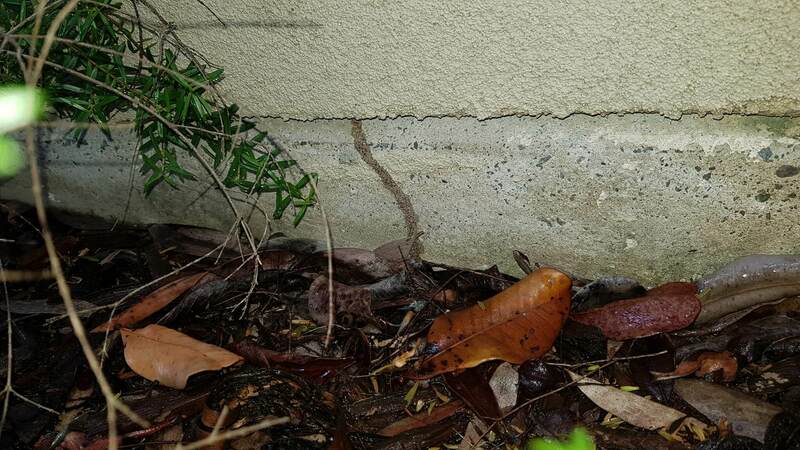 Only last week Michael treated a termite invasion and installed a Termidor termite barrier in a home in Forest Lake. 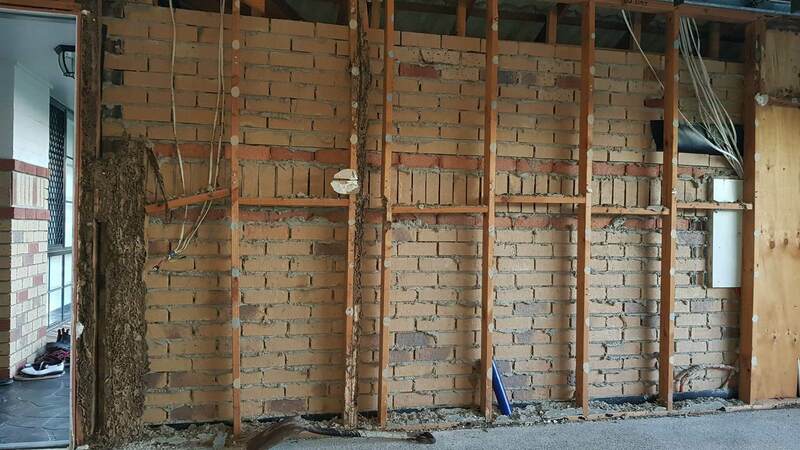 The brick home had substantial damage to the frame of the garage and the bearing beams under the heavy tiled roof. 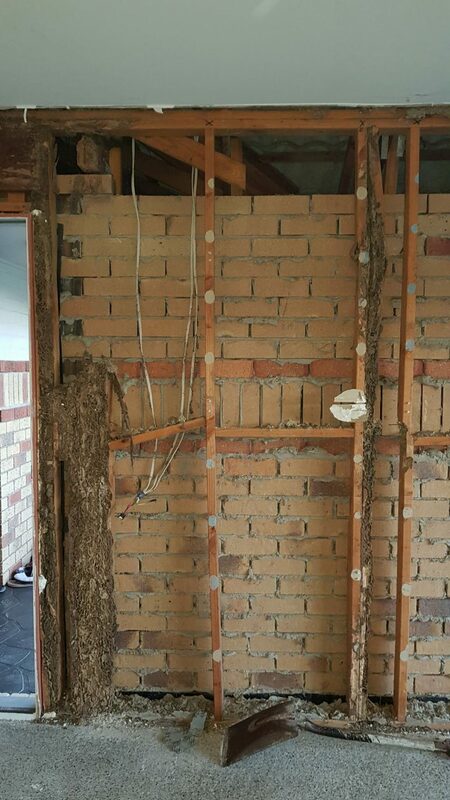 A builder was called in to put in temporary bearing beams to protect the property from even worse damage. Here you can see the entry points used at this specific home by the termites in Forest Lake. Termites need to build tunnels to stay moist, and here you can see one of them. The garage wall completely destroyed by the termites. 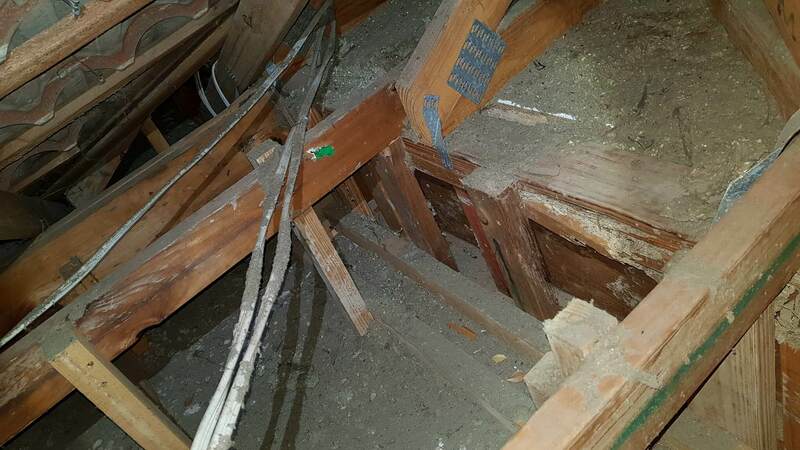 The bearing beam in the roof, completely devoured by the termites. 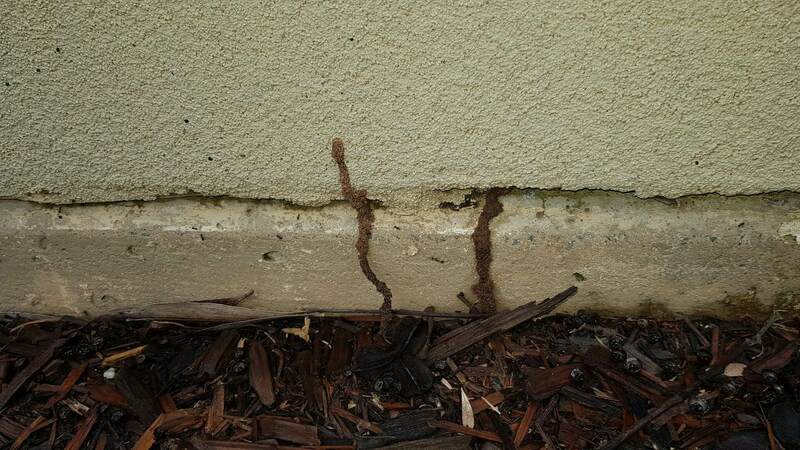 Termites in Forest Lake are very common. There are several factors that make the termites in Forest Lake thrive. The high density of gum trees allows termites to nest close to the homes. A majority of the homes in Forest Lake were also victims to a rogue pest controller that only used water to treat the termites! You can read more about that here. Of the homes that was properly treated it has now been more than ten years since their last treatment. The chemicals has since expired which leaves the homes open for termite business. 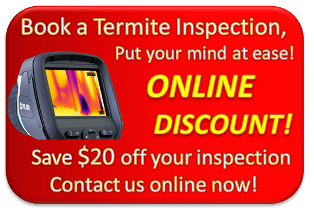 The safest option for you is to prevent the termites to get into your home in the first place, rather than waiting for the disaster to happen. A complete barrier treatment is the absolutely safest option for your home. Read more about treatment options here.